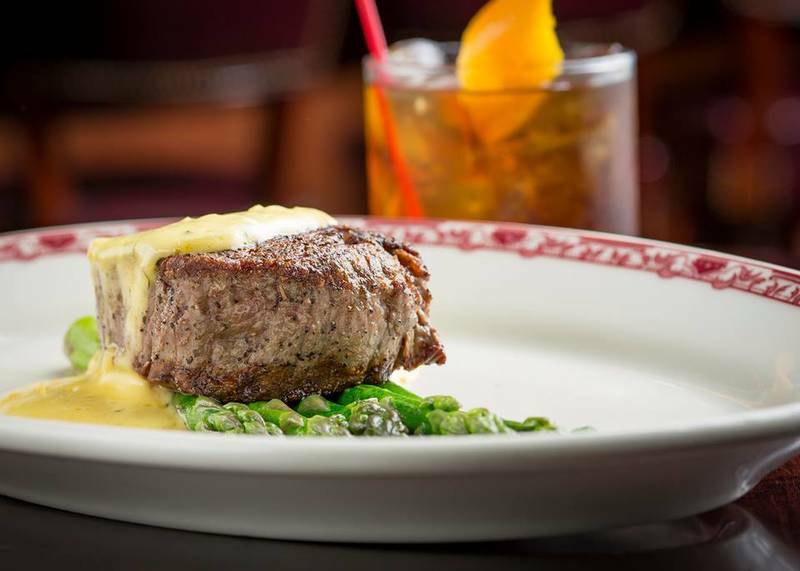 Prime & Provisions: This Loop steakhouse has a special finesse for comforting classics. It’s true of their steaks, their sandwiches and even their fried chicken, and it’s certainly true of their soups. 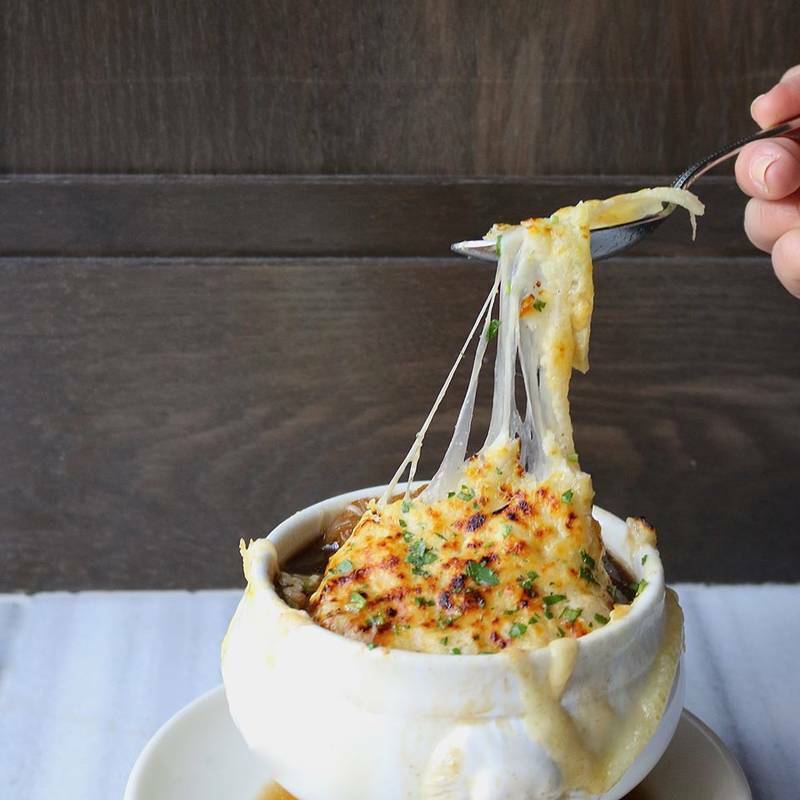 Along with a particularly creamy and smooth New England clam chowder, Prime & Provisions offers a wonderful take on French onion soup, outfitted with a Parmigiano crouton. Swift & Sons: Classic and comforting is the mantra at this Fulton Market gem, where the two soups on the menu skew cheesy and creamy. There’s the signature S&S onion soup, made with beef bouillon and Wisconsin Gouda, as well as a silky-smooth lobster bisque with creme fraiche and tarragon. Chicago Chop House: One of the most iconic steakhouse soups can be found at Chicago Chop House, where they’ve managed to add even more opulence to an innately rich classic. A menu mainstay, their version of lobster bisque contains chopped lobster for added texture, plus white truffle oil. Harry Caray’s Italian Steakhouse: Thanks to the Italian angle here, you can bet that Harry Caray’s has some pretty impeccable soup. They’re known for their Italian wedding soup, a brothy meat and vegetable soup with crumbled sausage-like morsels, greens and crispy Tuscan kale chips for crunch. 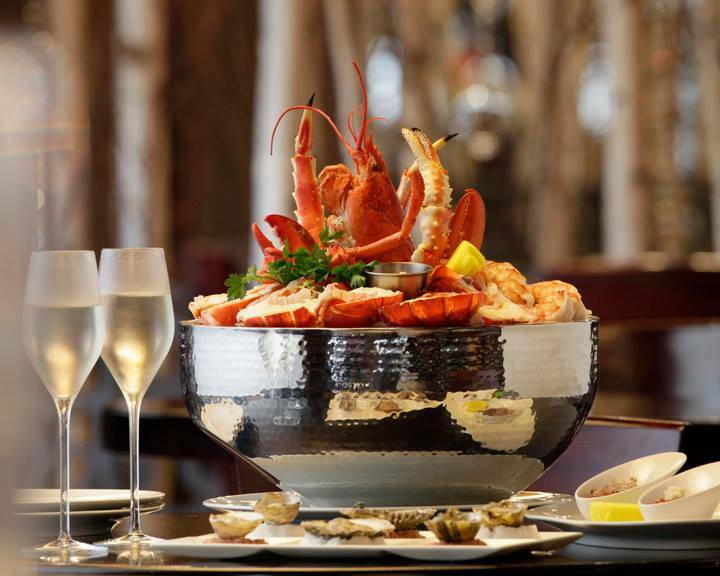 Devon Seafood Grill: Considering Devon sports a nautical focus, it’s no surprise that it serves some of the best New England clam chowder and Maine lobster bisque in town. Order them both off the oyster bar menu. Come for lunch in the main dining room and spicy Creole gumbo becomes an option as well. Joe’s Seafood, Prime Steaks & Stone Crab: For those who prefer their chowder on the tomato-based side, Joe’s serves a Manhattan version by the cup or bowl, along with a crab bisque. III Forks Prime Steakhouse: Technically it’s not a soup, but the mussels dish at III Forks merits special acclaim. It has lots of broth, at least. The standout appetizer contains a base of sherry brodo, which gets filled to the brim with PEI mussels, chorizo and charred shallots. Grilled brioche is served alongside, perfect for dunking and soaking up all that glorious broth.